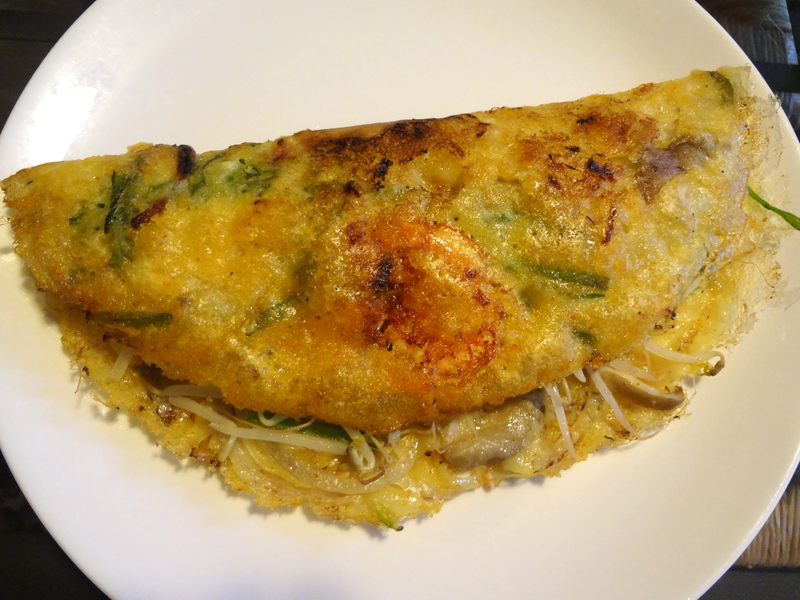 This is crispy Vietnamese crepes, or “banh xeo”! Have you ever tried it? Next time you decide to go to a Vietnamese restaurant, please order it, you will not regret it. I actually didn’t like it when I was a kid but I love it now!!! Learned how to make it too! Boo-yaaaah!